As part of the 2007 worldwide celebration of Homeopathy Awareness, members of Canadian Society of Homeopaths joined thousands of homeopaths around the world in supporting Homeopathy Awareness Week from April 10 to 16, 2007. 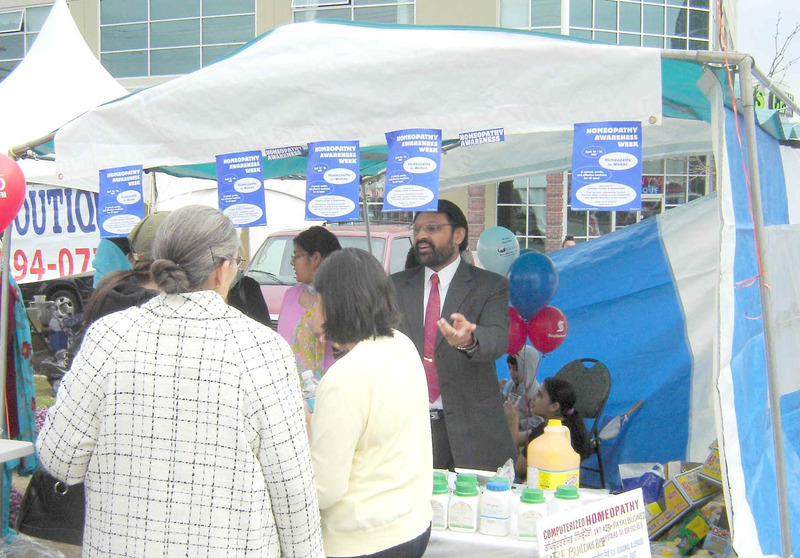 In Canada, over 50 homeopathic educational events and promotions were held from coast to coast, including free introductory talks and teleclasses, meet & greets, mini-clinics, information sessions, open houses, and local media events. Many CSH members also offered special discounts and draws during the month of April. CSH Members in Action . . .
Library display by Heather Hawthorne demonstrates how a few props and handouts can create an effective introduction to homeopathy. CSH members Joan Macdonald and Delia Pettit had a great time meeting the public and handing out CSH and WHAW information at their Meet n Greet information booth at the Halifax Farmers' Market. Pictured below: Joan Macdonald (L) and Delia Pettit (R) with Mary Hamblin, proprietor of Life's Good Soup.